Signaling networks, enabling the exchange of information that sets up, controls and terminates calls, have been through multiple stages of evolution since the early days of telephony. Signaling System No. 7, or SS7, was developed to exchange information over digital signaling networks specific to mobile operators, and requires specialised equipment to fulfil even simple connectivity. The complexity of its protocols, and the fact that it is used only by a closed circle of mobile operators, means that SS7 offers very controlled access to the networks themselves. That said, it’s worth bearing in mind that an SS7 network contains crucial information regarding a mobile network such as subscriber data, and mobility and authorisation information. SS7 networks have since evolved to become IP-based, making them more accessible to a wider community outside of traditional mobile operators. But, with the emergence of cheaper, and better performing IP solutions, the level of trust has dropped significantly. Most mobile operators world-wide are currently expanding their networks to provide 4G services and coverage. This includes building up a whole new set of infrastructure network elements that uses Diameter signaling to exchange information. Diameter signaling is replacing the legacy SS7 signaling that was the blood and veins of the 2G/3G systems. Signaling has become the hot buzzword in telecom networks. Managing signaling traffic, combined with the requirement for dynamic provisioning, is fast becoming one of the biggest challenges for operators – and one of the most written about topics by reporters, analysts and bloggers. That’s understandable given signaling control is critical to enabling user authentication and authorization, charging and billing. Today, vendors and bloggers alike are touting the exponential growth rates of LTE Diameter signaling. One vendor has shared research showing Diameter signaling growing more than twice the rate of mobile data. What’s causing this signaling surge? Much has been written about the increasing number of smartphones and tablets joining the network, in addition to the increasing use of applications that require constant updates and authentications – Twitter, Facebook, Angry Birds and the like. In network ecosystems, signalling is top of the food chain. If your signaling solution malfunctions or cannot cope with traffic levels it will be catastrophic for the entire network. As traffic levels increase due to increasing subscriber numbers and the always-on nature of chatty-apps, browsing and video, there is even more pressure on existing signaling solutions. Networks have been known to temporarily shut down completely due to signaling storms – a failure of signaling solutions. Once again the mobile industry is entering a new phase of technological change. With the proliferation of data services and smartphones, the mobile operator community is working to address the increasing need for bandwidth with the rollout of next generation 4G networks. As operators launch LTE services in their home markets, consumers will naturally expect the same quality experience everywhere— especially when they are abroad. In view of this, mobile operators that deploy LTE networks in their domestic markets are starting to review available options to ensure LTE services allow seamless roaming overseas. The first users of LTE will typically be VIP customers or key corporate accounts, a segment made up of high-end users and frequent travellers. To serve these premium customers operators will need to address LTE roaming requirements sooner, rather than later. @diametriq drinks at #ltena draws #Signaling day to a close! Roll on tomorrow! LTE North America started today with the Signaling Focus Day. With a busy room and a buzz around the place already the next two days are shaping up to be a fantastic experience for all involved. With interesting presentations and panel discussions around signaling it was a great way to start three packed days of learning and networking. Don’t forget tomorrow the LTE North America Awards are coming to town! This year including live music, the top players in North America’s 4G industry will be in attendance to network and find out who all the big winners are as well as enjoying themselves in a relaxed setting from 7.00pm. This is just taster of the first of our packed three days. Day 1 of the conference tomorrow will bring record numbers of attendees and exhibitors at the only 4G event in North America this year. If you missed today it’s not too late to be involved, get yourself down to the event tomorrow and register at the desk! Following the successful LTE Awards 2013, we speak to Ben Volkow, general manager of the Traffix Division of F5 Networks, about the company’s win in the ‘Best LTE Core Network Element’ category. Tell us more about your entry in the LTE Awards 2013. F5’s Traffix Diameter Signaling Delivery Controller (SDC) enables operators to control and steer signalling in ways that optimise, monetise and secure an LTE network for maximum revenue generation. You can find the SDC in more field deployments than any other Diameter signalling solution. It is the market’s most mature product as our DRA was the first in the market to be deployed, in 2009. It’s a comprehensive Diameter signalling solution offering a DEA, DRA, IWF, Diameter Gateway all consolidated into one platform powered by an extensive central network management system that not just reports and displays network statistics, but is configured to prevent network problems. 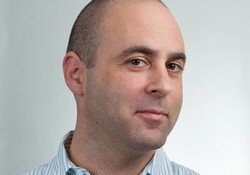 Jim Machi, VP Product Management at Dialogic. 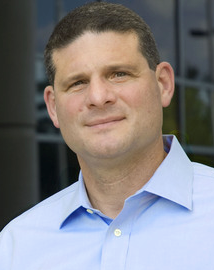 This post is by Jim Machi, VP Product Management at Dialogic. According to a recently released GSMA Wireless Intelligence infographic, there are 163 live LTE networks today, and that figure is expected to grow to more than 400 live LTE networks by the end of 2017. However, there are still hundreds of 2G and 3G networks that these LTE networks will need to connect to, not to mention the million or so (depending on source) Wi-Fi networks. The signaling interworking between Diameter, SS7 and Radius is an important issue that needs to be solved. It has become such a priority that a Diameter signaling controller market has emerged. Recently Dialogic hosted a webinar in which I discussed this in more detail. Steve van Zanen from Broadforward joined me to discuss the need for this type of equipment and the use cases that drive demand for interworking solutions. But signaling is not the only interactions that occur with the LTE networks. There are also media interactions required because of more advanced voice and video codecs that are used on LTE networks that will require transcoding and all this traffic will contribute to congestion. The webinar explores all three of these areas and solutions to allow the interactions to go smoother. Click here to learn more. The next Signaling Day, focusing entirely on signaling issues, will be taking place ahead of the LTE Asia conference, taking place at the 18th-19th September 2013 at the Suntec, Singapore. Click here to download a brochure for the event. In LTE there are many signaling interworking scenarios to consider. With more than one million Wi-Fi networks, over 1,000 2G networks, over 500 3G networks, over 400 cable networks, even more DSL networks, and 163 live LTE networks, the number of signaling interactions is simply enormous. A spec called TS 29.305 covers interworking between Diameter and SS7/MAP, which would occur whenever an LTE and 3G/2G network need to interact. Of course, interworking needs to happen between LTE networks as well, and there are many different Diameter variants are out there. Without universally-endorsed standards, it’s easy to either interpret or implement the spec a little differently. Diameter interactions also need to occur outside of 3GPP networks. Interactions with Wi-Fi will need to occur when an LTE-enabled tablet moves into a Wi-Fi area, and the billing and authentication switchover needs to occur seamlessly. When this happens, interworking between Diameter and Radius needs to occur and similar interactions could occur even with cable and DSL networks. Service providers will need to address all these interactions by adopting solutions that normalise protocols and facilitate any-to-any communications until LTE becomes the dominant network architecture – which is still several years away. Interview: “VoLTE is set to play [an] important role within our LTE strategy”: Master Expert System Architect Network, Eplus-gruppe. The E-Plus Group is the third largest mobile network operator in Germany, with just over 20 per cent market share. Ahead of the LTE World Summit, the premier 4G event for the telecoms industry taking place on the 24th-26th June 2013 at the Amsterdam RAI, Netherlands, we speak to Dietmar Kohnenmergen, Master Expert System Architect Network for E-Plus Gruppe about its preparation for launching LTE and the issues around diameter signaling. What have been the major developments around LTE in your region this year? For E-Plus Gruppe, the major developments have been an IP RAN rollout and the introduction of EPC and associated testing. Do you feel the people still need to be educated as to what Diameter signaling is? The experts are quite familiar with Diameter signalling issues, but the operational teams still need some education. What are the key issues around Diameter that the industry needs to be aware of? The primary issues are E-signalling load protection and adaptation to the various needs of the different Diameter flavours. How can these key issues be solved? From our perspective the introduction of a Diameter Router Agent is one of the most promising solutions for solving diameter issues. What are the other technical challenges around LTE that you expect to face in the next 12 months? The introduction of Circuit-Switched Fall Back (CSFB) with acceptable performance will be a major challenge for us. The other challenge will be the preparation of the BSS systems in time for our LTE launch. Where are you on VoLTE and RCS? Are these important to your LTE strategy? VoLTE is in preparation phase, whereas our plans around RCS have not been decided yet. VoLTE is set to play a more important role within our LTE strategy. Dietmar Kohnenmergen will be giving a presentation on diameter signaling at the LTE World Summit, the premier 4G event for the telecoms industry, taking place on the 24th-26th June 2013, at the Amsterdam RAI, Netherlands. Click here to download a flyer for the event. Also put a date in your diary now for the inaugural LTE Voice Summit, taking place in London on the 23rd-24th October 2013. Click here NOW to download a flyer. Something is happening here…thoughts on my way to Dallas. Some thoughts as I begin packing my bags to attend Informa’s LTE North America show in Dallas, an event that promises to bring over 800 people solely focused on the subject of rolling out or optimizing their LTE networks for a high quality customer experience. There have been major changes in our dynamic industry since last year’s show, and I’d like to comment on a few changed attitudes, particularly among the analyst and journalist communities. Since 2011, I’ve been “preaching” that Diameter signaling protocol and its configured software solutions such as routing and connectivity are the key enablers for LTE. Reactions have been mixed: from a yawn, mild interest, or disbelief. I knew that signaling was always the most boring subject when speaking about telecommunications networks; and the few pundits who would listen to our story were the network infrastructure analysts. Typically, my pitch began by explaining that since Diameter protocol was selected as the communication language of telecom networks to support data, it plays a critical role in LTE network performance and reliability. And that role expands tremendously in significance once networks become completely IP-based. Despite the relevance that I thought that resonated from this story, many analysts in the mobile broadband space wouldn’t give me the time of day. I often wondered if I should begin to change my tact or tactic, or both. But then things began to happen…networks began to collapse under the weight and mismanagement of Diameter signaling messaging that were generated due to the massive use of smartphones and always-on applications. In addition, the new LTE based network elements produced more signaling and created fragmented networks never before experienced by operators. Use cases were apparent where connectivity such as between legacy prepaid and postpaid billing systems and the new LTE subscriber base was required. The constant growth of LTE rollouts required routing and connectivity solutions for LTE roamers to 3G and other LTE home networks. This year’s market introduction of VoLTE brought a whole new kettle of Diameter signaling messages as voice services operating over packet switching are much harder to manage than circuit switching, requiring more Diameter messages to keep things under control to maintain high quality of service. Always though, the most critical use of Diameter — and this has been proven over and over this past year — is the reliability of network performance. More central than any other functionality around Diameter routing solutions, is to keep the network operating — and to perform consistently high to ensure the optimal customer experience that LTE has been promised to deliver. So I think it’s not a coincidence that at this LTE event, there are a few from the media community who once raised their eyebrows in my direction yet today are participating in signaling forums and panels. This is a guest post by Frank Yue, Technical Marketing Manager for the Service Provider vertical at F5 Networks. 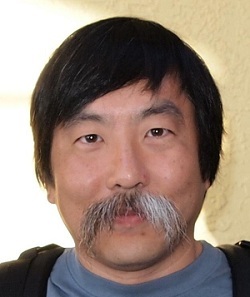 Mr. Yue has over 15 years of experience building large-scale networks and working with high performance application technologies including deep packet inspection, network security and application delivery. 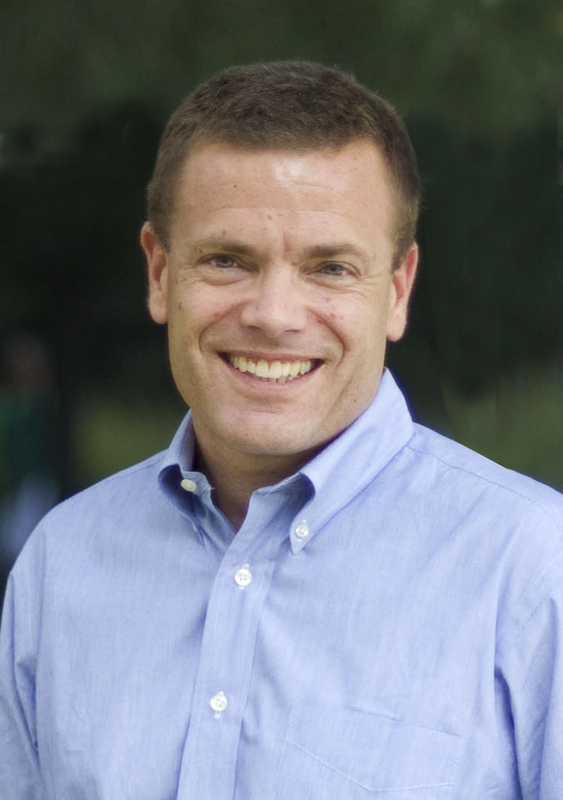 He is based in North Carolina and is a scuba diving instructor in his spare time. What happens when you build a new product or service and everyone wants to be a part of it? When demand surpasses supply, bottlenecks and delays are created, resulting in customer dissatisfaction. 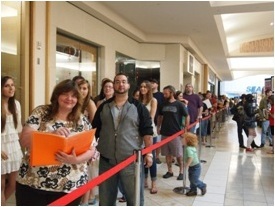 It is common to see lines of people waiting to get their hands on the latest hot product. Often, the infrastructure needs to be rebuilt or changes made to people’s habits to relieve the demand. Extra lanes and bypasses are added to the highway systems to meet expected rush hour requirements. Companies attempt to build and deliver sufficient quantities of product to satisfy predicted demand on the day the book or new phone is released to the consumers. With the availability of today’s mobile Internet and the speeds that consumers can upload and download data with today’s technologies, there is an ongoing explosion in the amount of data being consumed by mobile subscribers. Mobile Internet access is becoming a standard feature as smartphone usage continues to grow. The number of mobile devices accessing the Internet is expected to pass the number of PCs in 2013. Video has become the top application being downloaded by consumers, accounting for 40 per cent of all Internet traffic. In the meantime, infrastructure technologies continue to improve the availability and speeds at which mobile subscribers use these data services. 4G LTE networks provide the ability to download data at speeds at up to 100Mbps. Managing bandwidth through quota controls is becoming much more common. Unlimited data plans are disappearing. Even when these unlimited plans are available, there are thresholds where bandwidth management techniques are being applied. Communications Service Providers (CSP) understand that by providing intelligence in the network that can inspect, classify and take actions based on the characteristics of the traffic and the subscriber profile, they can more effectively manage the network availability. This is possible, while providing enhanced services to premium customers at the same time. This requires an intelligent, flexible, scalable framework that will be able to provide the services required today as well as any future services which may be added later. One aspect that is possibly being forgotten is the astronomical growth of traffic in the control plane of the LTE network. 4G LTE networks are designed to be IP-based packet switched networks for all traffic including voice communications. As a result, there are more control plane signaling messages using the Diameter protocol being sent back and forth to manage application access as well as the voice over IP (VoIP) communications. As more LTE capable devices become available and voice over LTE (VoLTE) continues to be deployed, the danger of the Diameter signaling storm is potentially greater than the growth seen on the customer data network. It is important to ensure that a scalable, highly available infrastructure is also built for the control plane. A Diameter Routing Agent (DRA) can be implemented to help mitigate this problem. 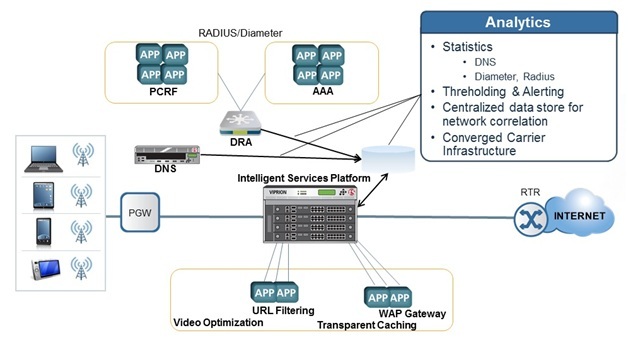 To manage all of these services and develop a flexible dynamic environment that provides the framework for the evolving wireless network, CSPs need to implement an infrastructure that has the intelligence to identify applications, subscribers and behavioral trends; scalability to handle the subscriber and data growth; and flexibility to meet today’s requirements in addition to the requirements of the future. The demand for more applications and bandwidth is here and it is up to the wireless providers to manage the available supply through intelligent design and execution. What Will the Explosion of Devices Mean For Operators? There has been so much discussion about data traffic surges that mobile operators are missing the bigger picture of network signalling traffic surges; and what they mean for monetising services. Operators have to figure out how to open up their unique resources to those who covet them, such as Over-the-Top (OTT) players, mobile advertisers and content providers. Indeed, operators have the contextually rich subscriber data that others desire; not to mention the policy, QoS/SLA, billing relationships and management systems that can enrich OTT apps and services with differentiating capabilities, such as speed boosts during gaming or video downloads. Currently, operators manage every part of the service delivery process – from devices, to networks, to subscriber databases. They also sit on a cache of contextual data about subscribers – preferences, devices, location, subscription and billing information and interests. All of this knowledge can generate revenue through personalised or location-based advertising (with the appropriate privacy provisions, of course) and zero-rated services paid for by third parties. But in order to play the role of ‘enabler’ in a digital ecosystem, operators must have mitigation strategies and mechanisms to manage the tsunami of not only data traffic, but also signalling traffic that will imminently flood networks. LTE-enabled devices host sophisticated apps that constantly communicate with cell towers and various types of network equipment. The type of monetisation and personalisation operators can enable will be challenged by the surges in data and signalling traffic generated by the sheer number of devices and the domino effect of mushrooming Machine to Machine (M2M) connections. Following this rise in connections will come explosions in data and signalling traffic. Enough has been written about the migration to LTE and Wi-Fi offloads, and other mechanisms for dealing with data surges, but little is written about managing the number of Diameter messages supporting tens of millions of subscribers and up to hundreds of millions of devices – each of which can produce multiple concurrent sessions. Operators can use a combination of cloud, Diameter signalling and policy infrastructure to manage the surges of data and signalling traffic that will be triggered by new devices and their services. By abstracting the complexity of managing specific platforms, devices or locations, the cloud enables operators to monetise anywhere, anytime applications without the management headaches. For that reason, mobile cloud traffic is expected to grow 28-fold between 2011 and 2016, a compound annual growth rate of 95 per cent, according to Cisco. Even more striking, cloud applications will drive 71 per cent of the total mobile data traffic by 2016 in Cisco’s forecast. But cloud infrastructure has to be complemented by signalling infrastructure, as cloud computing can unleash huge volumes of signalling traffic. Sophisticated cloud services require authentication, authorisation, and accounting (AAA), policy, charging, QoS and mobility management – all of which Diameter directs. It is absolutely essential that operators have a Diameter signalling layer (founded on a Diameter Signalling Router) in the network core for routing, traffic management, load balancing and protocol interworking – all necessary for accommodating the signalling that inevitably is triggered by new services. They should also have a sophisticated Policy Server (PCRF) to define business rules for new service plans, not to mention subscriber data management (SDM) to personalise services, and Analytics to evolve services according to consumer and enterprise requirements. This combination will help operators facilitate communication among service and network control elements, including policy servers, gateways, charging systems, mobility and session management, as well as subscriber databases – all of which communicate using the Diameter protocol. If mobile operators embrace the full extent to which Diameter can generate revenue for 3G and LTE services, as well as manage explosions of data and signalling on their networks, they will be well on their way to successfully delivering and enabling personalised mobile data services capable of scaling with subscriber, application and data growth. Following on from a successful LTE World Summit conference we present a guest post from Susan Becker, director product marketing for F5 Traffix. I’d like to share a few observations while on my way home from Informa’s LTE World Summit that just concluded in Barcelona. There was a wider range of operators attending the two day event than I expected. From our customers, I know that top tier carriers in North America are rolling out LTE, some in the Far East and others in Europe. But during the show it became clear to me that in every part of the world operators are in some planning stage towards their LTE deployment. From every continent and then some, operators are thinking about an LTE strategy. And the ones already in the more advanced stages are approaching experienced core network infrastructure vendors such as F5 Traffix to enable them to provide advanced services in this increasingly competitive market. With smart phones already a mass market commodity, the range and quality of services are utmost in their minds. Unfortunately, there was much premature hype about LTE leading people to believe that it is a simple, fast roll out. And that has proven to be exactly the opposite. As LTE is more of an evolution and not a revolution, most operators will experience pains in LTE deployment. The questions remain as to what extent and when these pains will happen, and most importantly how much will it cost them. Will it result in significant churn or can the churn be abated with the lure of attractive services like family data plans, and selected real-time prepaid options like optimised video upon demand for postpaid subscribers? There are many questions that revolve around the dozens of unprecedented cases that will be analysed and planned by the industry’s best network architects and engineers. One thing is for sure, that a special focus day on signalling like the one that preceded the LTE Summit this year attracting close to 200 people to sit and listen to Diameter experts, would not have happened last year. We were overwhelmed by the positive responses we received following presentations by F5 Traffix Diameter experts Ben Volkow and Peter Nas on “Approaching Diameter as the Nervous System of the Network” and “Diameter Use Cases for the Signaling Explosion”. The word on Diameter solutions’ ability to solve, or rather to enable, all the promises of better and faster service in LTE is out there. Mentioning signalling to industry analysts covering mobile broadband today more often than not triggers a serious conversation. Even journalists without a technical background approach F5 Traffix to write on the topic of the signaling surge in LTE. We can’t take these facts for granted as they were NOT happening last year. So yes, things are changing, and definitely for the better. In the third of our series of guest blog posts, Doug Suriano, CTO of Tekelec explains the need for operators to quickly get a handle on the increase in signalling on their networks. The third-generation iPad was one of the strongest iPad debuts yet. Pre-orders sold out before a single tablet had been shipped, and predictably lines were out the door when the device hit the shelves. As the first LTE-enabled iPad, this product will have a huge impact on North American LTE operators, and likewise for operators in markets where LTE will soon be deployed, in a way few have considered. Mobile operators face a dual threat to network performance, customer loyalty and profitability models. The first is the well-documented growth in the volume of mobile data traffic. The second is equally critical: a ‘signalling storm’ caused by the cumulative impact of connected device and application growth, personalised service plans, and an increasingly mobile subscriber base. With LTE on board, the iPad 3 is more enticing that ever for HD video, over-the-top services such as Facebook and Twitter, as well as a wide variety of data-heavy consumer and business applications. However, the rise in mobile data traffic will not be operators’ primary problem. They have been aggressively addressing data capacity for years with strategies such as migration to 3G and LTE, policy control and offloading traffic to Wi-Fi. With LTE, operators will need to handle network signalling messages. Signalling is the underlying communications that enables charging, billing, user authentication and authorisation. These essential messages support data activity over 3G and LTE networks. The impact of network signaling, however, has gone largely unreported. The new iPad is what I consider to be the first widely available ‘iconic’ LTE device. By virtue of its popularity, features and applications, it will escalate the volume of network signaling on LTE networks to new levels. Also, as sales increase, usage will occur outside of LTE coverage spots. Each time a subscriber moves to or from an LTE coverage area, the new iPad will register on the correct network technology, introducing a new type of signaling to the tablet market. Mobile data usage has led to an explosion in signalling traffic generated by billions of connected devices and apps. Subscribers often use multiple applications simultaneously, requiring networks to track data usage more frequently for billing purposes. In fact, one large tier one customer told us that the number of concurrent sessions per subscriber, a measure of the number of separate mobile data activities, has increased 50 per cent in the last year. We expect that number to increase by at least another 50 per cent in the next year, due to the LTE iPad and the expected arrival of the several new LTE smartphones. These devices increase the appeal and use of the mobile Internet and expand the number of subscribers using mobile applications. Recent network outages serve as a reminder that a rapid growth in subscribers, devices and applications is causing a ‘signaling storm’ for operators. For most operators in developed markets, signaling traffic growth is exceeding data traffic growth. The good news is that mobile operators can manage the signalling surge by implementing equipment based on a protocol called Diameter. This is the language that the major core and control elements in the LTE network use to communicate. By routing Diameter signalling messages more intelligently and efficiently, operators can bolster network performance; improve subscribers’ quality of experience and scale for the millions of new devices that will populate their LTE networks. The LTE World Summit is taking place on the 23-24 May 2012 CCIB, Barcelona, Spain. Click here to register your http://ws.lteconference.com/interest. This is the second in a series of guest blogs from significant voices in the industry with something to say about LTE. This time we hear from Ben Volkow, VP Product of Product Development for F5 Traffix. I know this is becoming my mantra, and may therefore sound a bit repetitive but I’ll say it again. One of the main success factors of LTE roll out and services is dependent on the quality of an operator’s Diameter Signalling Solutions. Allow me to explain. LTE devices, including smartphones, tablets, dongles, and all of the other connected devices generate an unprecedented volume of signalling, sometimes even more than 100 times the amount of signalling we are used to experiencing in legacy networks. Signalling is the network’s internal communication system, and the language that signalling “speaks” in LTE is an IP-based stream control transmission protocol called Diameter. It plays a connecting and routing function among LTE networks and inside the network between the different network nodes. Diameter exists everywhere in the network, for example, among enabling elements for policy management and enforcement, billing and charging, authentication, mobility management, and roaming services. LTE was designed on the drawing board as a Greenfield technology, replacing existing legacy 2G, 2.5G, and 3G networks and building new 4G networks from scratch. Keep in mind however, that in telecoms there tends to be more evolution than revolution. So, in practice, next-generation elements are deployed side-by-side with existing legacy network functionalities. This two-generation hybrid complicates the network by filling it up with a patchwork of technologies, interfaces, and protocols. And this complication—referred to as network fragmentation—is extremely costly if not handled properly. 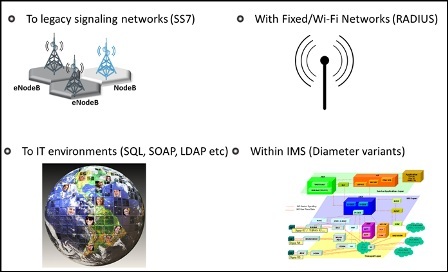 Minimally, it requires connectivity between the LTE interfaces, protocols, and elements, as well as connectivity between the new and legacy components. In addition, there is the huge task of simplifying this network spaghetti, and only a robust Diameter Signalling router can succeed here. Now back to the LTE devices. Many are designed with power-saving mechanisms to preserve battery life. However, simply touching the device catalyzes signalling. Many consumers leave several applications open, such as mobile games and social networking sites—and this causes constant, massive signalling. The “always-on” state of LTE devices are constantly pinging the network with signalling, creating a volume of signalling messages that are greater than ever experienced by a network. The high level buzz around LTE speaks about an enhanced multimedia, personalised, and interactive experience. More specifically, LTE is expected to deliver advanced services and charging schemes such as family data plans, tiered data plans, video optimisation, and faster speeds of mobile data. Each one of these improvements involves complicated “back-office” support in the network. Each LTE service comes with a complex navigation route among network elements like PCRFs (policy charging & rules function) that tells the network what level of data plan has been purchased by the subscriber. OCS (online charging system) elements are needed to serve prepaid customers, and BSS (business support systems) elements that are connected to data centres across vast geographic areas and require signalling to deliver the billing charges to the correct data centre. In short, it is the Diameter Signalling router (more commonly known as DRA) that ensures that the correct information about the right subscriber is transmitted to the designated server in the network. So, my take on the state of the LTE market is that we have witnessed a great beginning. And from our perspective, there are two types of service providers. The first is the service provider who plans for signalling routing and gateway solutions from the beginning, and the second is the service provider who doesn’t add it to the plan and ultimately experiences pain due to signalling surges and overloads. This second type of service provider quickly realises its mistakes and rushes to deploy Diameter routers and load balancers to ensure network reliability and maximum performance. In both scenarios, LTE networks experience a bombardment of signalling at unprecedented levels. This signalling must be managed, or it will upset network performance significantly or bring network operations to a halt. The LTE World Summit is taking place on the 23-24 May 2012 CCIB, Barcelona, Spain. Click here to register your interest.